After exploring Trinidad, Colorado it was time to head west to begin our journey to Pueblo. The San Isabel National Forest is such a sight. San Isabel National Forest is located in central Colorado. The forest contains 19 of the state's 53 fourteeners, peaks over 14,000 feet (4,267 m) high, including Mount Elbert, the highest point in Colorado. It is one of eleven national forests in the state of Colorado and contains the Sawatch Range, the Collegiate Peaks, and the gorgeous Sangre De Cristo Range. The crisp fall air feels amazing and everything smells so good. You can really experience all of it on the motorcycle. We had to take a quick break to give Ramona some oil and I met some wild mustangs and two kitties but they were too shy to take a photo. Exploring Colorado on a motorcycle has been the ultimate motorcycle touring dream. I am just in awe of all of these breathtaking views and gorgeous stretches of the Rocky Mountains. 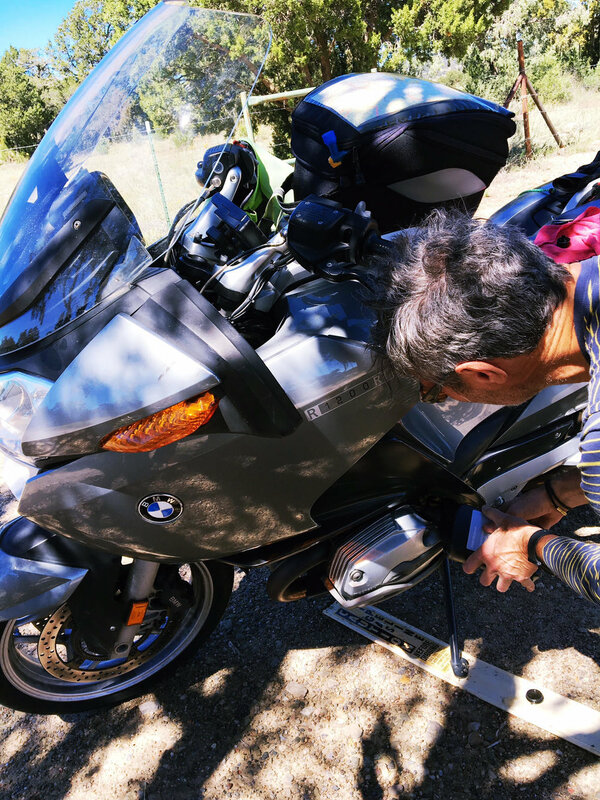 Lin says I am just going to be blown away with the riding in Spain. Getting so excited for those adventures. With everything to see and the perfect weather, the rides have seemed relatively short too even though this ride was quite long. We put in about 6 hours of saddle time all though we do take the long back roads. I love all the old mining towns you pass along the way. We stopped in Westcliffe, Colorado situated in a high mountain meadow to stretch and grab a bite. Westcliffe is a quaint town at the base of the Sangre De Cristo Mountains. (Spanish for "Blood of Christ") The Collegiate Mountains can be viewed to the north, and the Spanish Peaks sit in the south. The elevation is 7,888 and offers some astonishing views. Their population is 568 and neighboring Silver Cliff that we also drove through has a population of 587. Custer County is visited yearly by people from all over the world, for not only the views of the mountains, but for the many recreational activities found here; such as, hiking, fishing, camping, horse back riding, bird watching, and technical climbing, as well as the Wildlife preserve and observatory it has held intact. I personally would love to visit this mountain town in the winter. I love skiing and snow exploring. 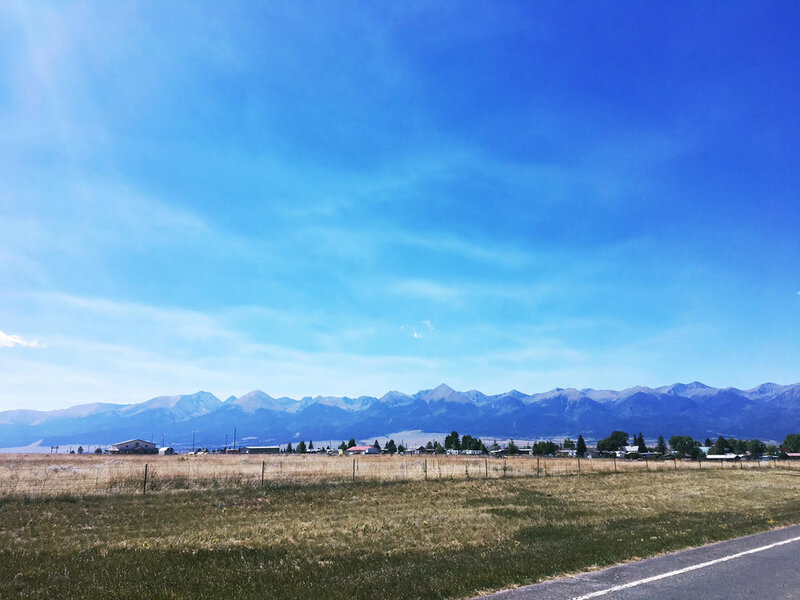 Traveling to Westcliffe is an easy scenic drive, only 3 hours from Denver, one and a half hours from Colorado Springs, a short forty-five minute jaunt from Canon City via the scenic hwy 50 along the Arkansas River and from Pueblo, Westcliffe sits at the west end of hwy 96. Eat at Belle's Diner. And explore the little shops on the main street. Next up Salida. That place is such a gem and I hope to visit again.